Figures released through Freedom of Information reveal that 98 landowners were unhappy with the amount they received through compulsory purchase orders. 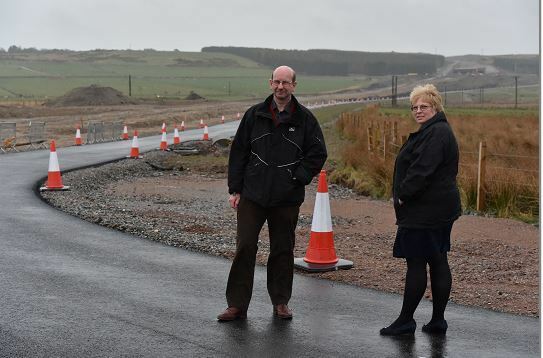 Transport Scotland has previously estimated that £135.9 million will be paid out in compensation – this includes £127.7m for the Stonehaven to Blackdog stretch, and £8.2m for the Balmedie to Tipperty stretch. Anyone who wished to challenge the CPO sale had until January 15 to do so, otherwise they had to accept the original valuation. Scores of farmers and other landowners have challenged the amount they are due to receive from the sale, which is carried out by the district valuer. Angus and Caroline McNicoll at their farm during construction. A total of 42 appeals relate to valuations carried out by the same valuer. Deeside couple Angus and Carole McNicoll, who own Blaikiewell Farm at Blairs, are among those who have appealed to the Lands Tribunal for Scotland (LTS). The pair’s farm was cut in half by the new road and they are now battling to secure what they believe is the fair amount for their land. Mr McNicoll said: “In general, we feel that the district valuer involved in our own compulsory purchase consistently failed to negotiate fairly. “He failed on many occasions to justify his valuations and refused to accept reasoned and evidenced counter-valuations from our land agent. Almost all of the applications have been sisted, or paused, to allow landowners to negotiate directly with the district valuers. If LTS ultimately rules that the value of the land is less or equal to the valuers’ estimate it could mean landowners have to foot the bill for Transport Scotland’s legal expenses. 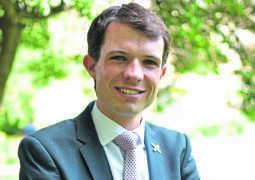 Andrew Bowie, MP for West Aberdeenshire and Kincardine, said it was only right that people were “properly compensated”. “Given the volume of land tribunals, it appears that many are unhappy about the process – including some of my constituents,” he said. A Transport Scotland spokesman said: “Owners of land purchased for the AWPR scheme will receive fair compensation, independently assessed by the District Valuer. The estimated total compensation including the amounts already paid is £127.7m (£135.9m in total) and we remain on target to meet outstanding compensation claims within that budget.